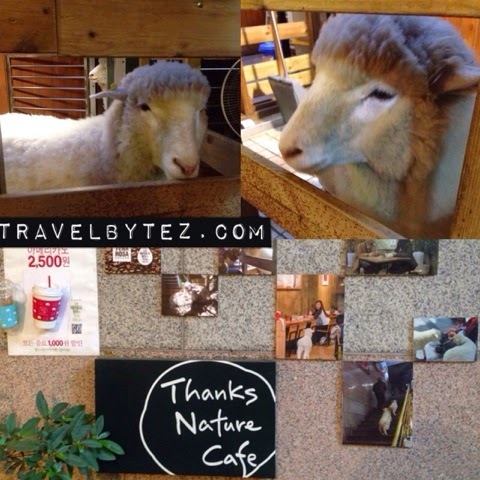 After walking and shopping for some time in the cool autumn breeze, it was time to head to our next destination on our itinerary - Thanks Nature Café, or better known as the sheep café. The café is located at the basement of a building, so if you are not careful you might miss it. Anyways, the café’s interior has a warm earthy theme with plenty of brown and woods. There are 2 dining areas – outdoors (where the sheep are) and indoors. There wasn’t much of a crowd the day we were there, so we found a cozy corner to rest our aching feet. The interior with cute sheep figurines found everywhere in the café! Being a sheep café, do expect some animal smell (but it’s minimal). Other than the slight sheep smell, the café was clean and spotless so you can dine in peace. The owner of the café is a middle-aged Korean man who loves his sheep and keeps them clean. 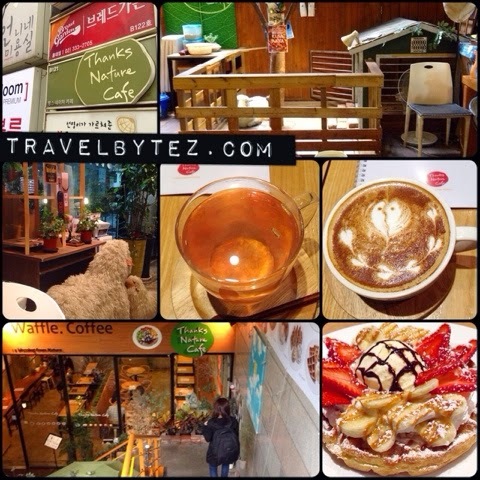 Once we settled in our seats and accessed the free wifi (one of the nice things in South Korea), we ordered our drinks and a yummy waffle (with lotsa fruits and a scoop of ice-cream!) to share. The prices for the waffles and drinks were reasonable. 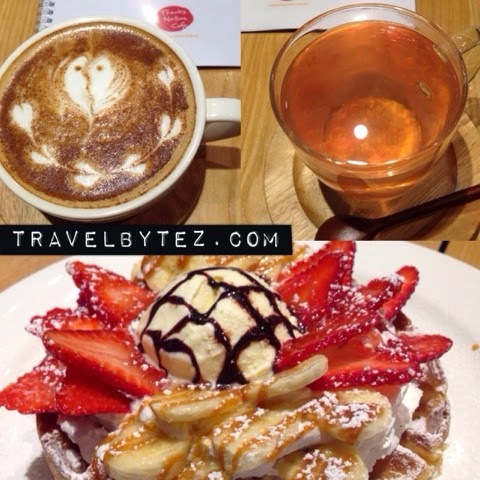 Coffee, Pomegranate Tea and a fluffy fruity waffle with a scoop of vanilla ice-cream! 1. This was the location where Super Junior Leeteuk and Korean actress Kang Sora visited together during MBC’s "We got married". 2. You can give food to the sheep but please ask for permission. 3. The sheep are only in the café during winter and the cooler seasons (e.g. autumn). During summer the sheep hang out at a farm to escape the hot summer heat; at least welfare of the sheep were thought of. Thanks Nature Café would officially be my very first animal café, and I have to say that the experience was enriching and fun. 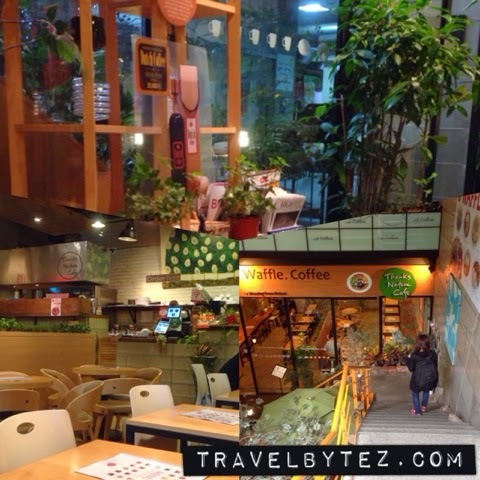 So if you love fluffy white(ish) behing and mehing sheep (or cute animals), than Thanks Nature Café is one café that you should put in your list of cafes to visit when you are in Seoul!